In the spring of 1997, Matthew Chicoine - aka Recloose - made contact with techno pioneer Carl Craig by way of a now legendary ‘demo on rye sandwich'. This now legendary story has been referenced to death, and we'd all prefer not to revisit the details. Instead, let's focus on what it led to: the near instant signing of Recloose to Craig's Planet E label and the beginning of a promising musical career for one very talented individual. Recloose's musical roots trace back to 8 years of studying music and playing jazz saxophone, later shifting his focus to the art of mixing, cutting and dicing vinyl whilst at college in Ann Arbor, Michigan. His eclectic DJ sets have led Recloose to become an in-demand DJ, playing at clubs and festivals around the world as well as performing as a turntablist for both Carl Craig's Innerzone Orchestra and the more esoteric Uri Caine ensemble. Since the fateful meeting with Carl Craig, Recloose has developed into a true standout of Detroit's musical litter. The past 10 years have seen a number of groundbreaking 12's released and a host of remixes for the likes of Herbert, Tei Towa, MJ Cole and Azymuth. Recloose, consistently gathering musical momentum, released his debut album ‘Cardiology'‚ on Planet E/!K7 in 2002, to large critical acclaim. Recloose relocated to New Zealand in 2001 to plant new roots and explore new musical horizons. July 2005 saw the release of his second album, ‘Hiatus On The Horizon' (Peacefrog/Loop), an album featuring a host of New Zealand's finest musicians and vocalists - an album that spawned the dancefloor stomper ‘Dust', featuring Fat Freddy's Drop vocalist Joe Dukie. Since then, Recloose formed the 8-piece ‘Recloose Live Band', made up of many of the featured artists from his sophomore album. Since debuting in July 2005 the band has been performing at high profile gigs in New Zealand, Australia, and Europe including several well-received national TV performances in New Zealand, packed gigs at London's Fabric and Jazz Cafe, a roaring audience at the Sydney Festival in Australia, and a recent live session on Gilles Peterson's BBC1 radio show Worldwide. They recorded a series of live performances in late 2006 and released this funk compendium called ‘Backwards and Sideways' on Recloose's new imprint ‘Fingertips' in early 2007. Recloose returns in 2008 with a new studio album, ‘Perfect Timing' on Sonar Kollektiv. Think funk anthems blasting through dirty party scenes. Think slow jams for reclining. 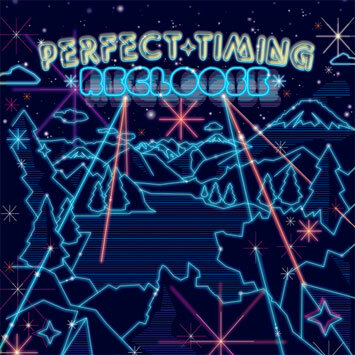 ‘Perfect Timing' again features long time musical companions Joe Dukie, Tyna and Jonathan Crayford amongst new and international talents. Given its irresistible booty shaking vibe, it is set to have leading impact on the international club scene.